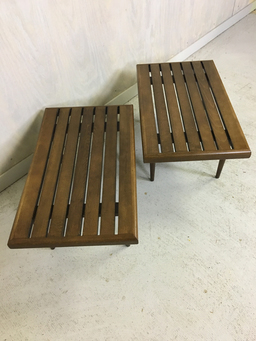 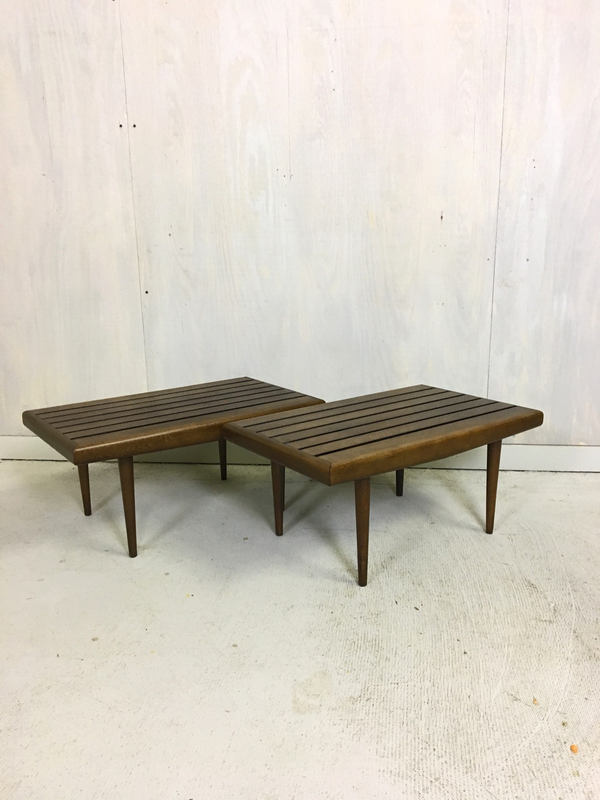 Great looking and well made pair of slat tables. 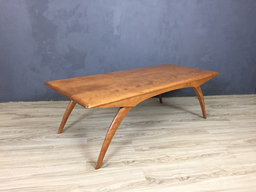 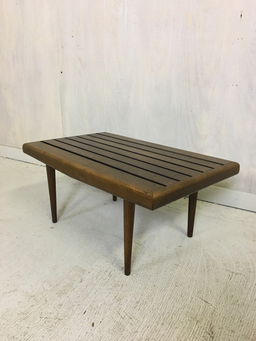 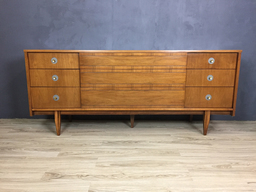 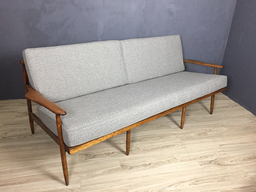 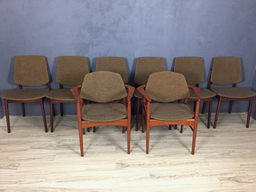 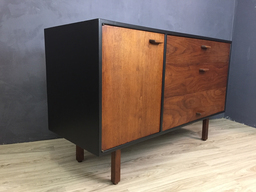 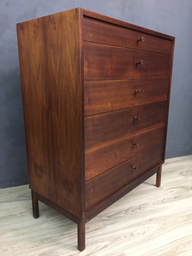 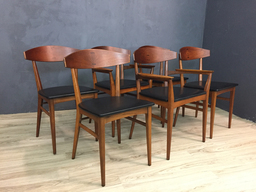 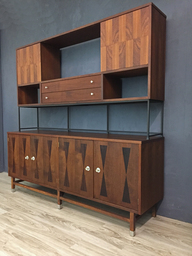 Very sturdy and solid and a great mid century look. 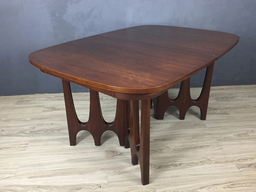 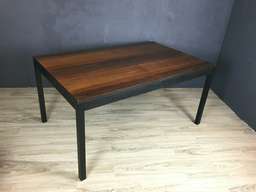 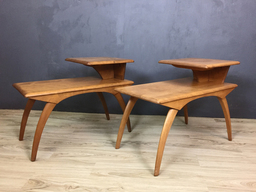 These tables are in excellent vintage condition. 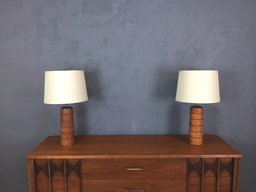 The finish has been refreshed.